New university course trains frontline staff in the cannabis industry. Starting this spring, Kwantlen Polytechnic University (KPU) is offering a new Retail Cannabis Consultant certificate program through its Continuing and Professional Studies division. The fourth offering in KPU’s Cannabis Career Training series of non-credit professional training courses, the retail course is a four-day in-class workshop that was developed in consultation with industry experts including: Canadian Association of Medical Cannabis Dispensaries (CAMCD) and the Responsible Marijuana Retail Alliance of BC, which comprises the Alliance of Beverage Licensees (ABLE BC) and British Columbia Government and Service Employees Union (BCGEU). The curriculum is designed to meet current medical cannabis industry demands, as well as prepare the workforce for the upcoming recreational cannabis market. The course covers numerous aspects of cannabis retail experience including delving into the history of prohibition in Canada, introducing the basic human biological reactions of the endocannabinoid system, as well as safety, quality control, identification, selection, handling and dispensing of cannabis products. A strong emphasis on legal compliance, regulations and protocols rounds out the program. A separate accompanying module focusing on customer service and client management that will specifically speak to tools and techniques used in a call-centre setting is currently under development and is expected to be available to students in July. A deviation from the previous three online offerings in KPU’s Cannabis Career Training series, the Retail Cannabis Consultant course will be in-class with hands-on components. 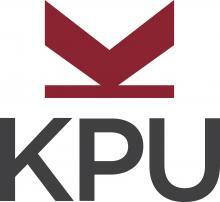 For more information on KPU’s Cannabis Career Training, visit kpu.ca/cps/medical-cannabis. KPU offers a range of continuing and professional studies non-credit courses that allow lifelong learners to continue their education, upgrade specific skills or discover something new. For more information, visit kpu.ca/cps.